For a stunning addition to any home or games room, you can’t go wrong with the Garlando Image Mirror football table. 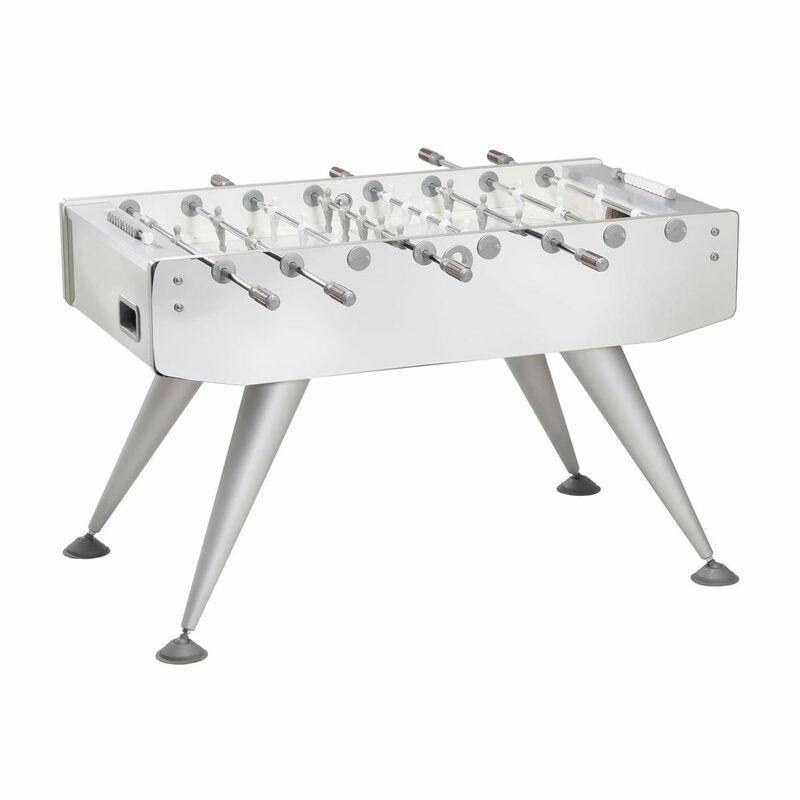 This table, with its mirror-like surface, silver edges and stylish slanting legs, will certainly add a touch of ‘wow’ to liven up indoor spaces, but it doesn’t just look good, it plays well too. 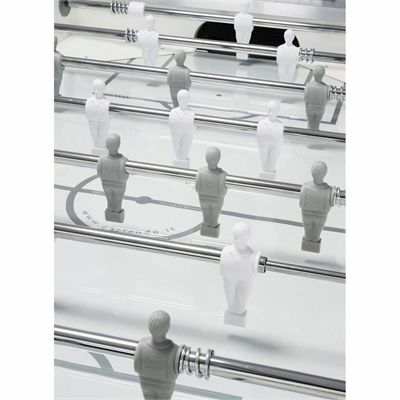 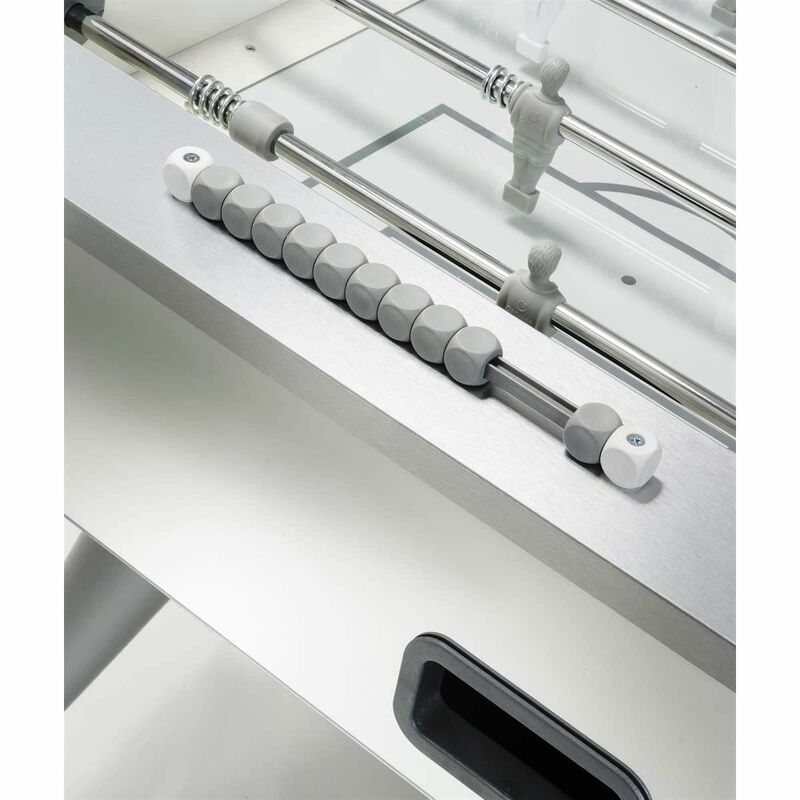 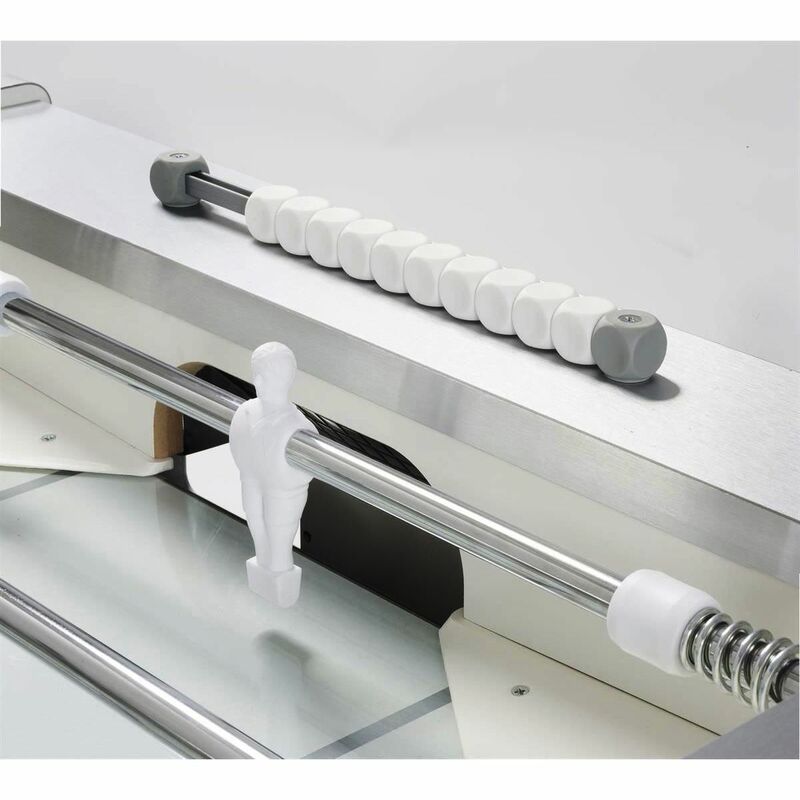 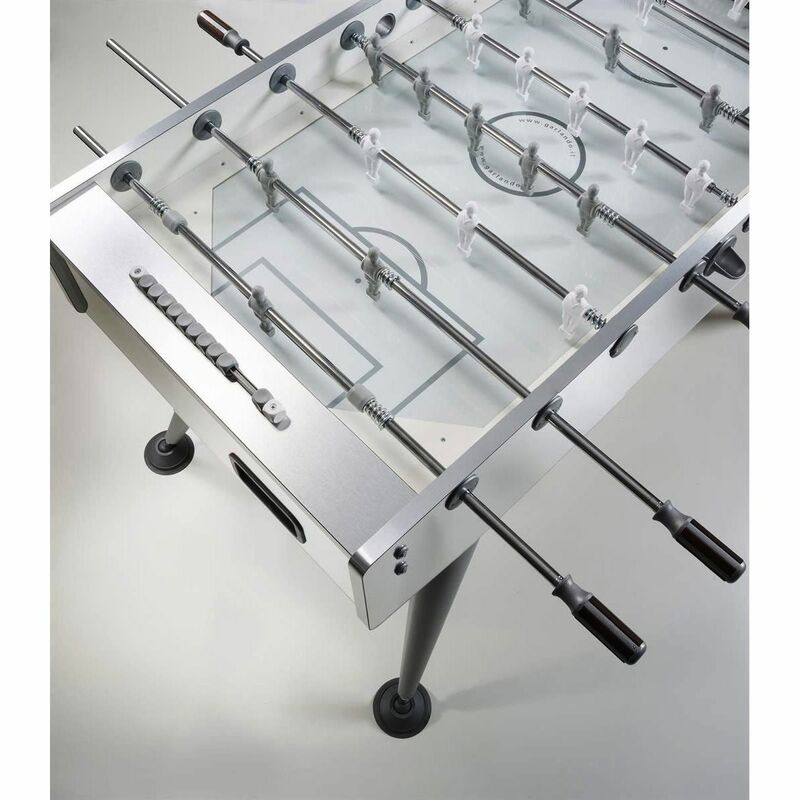 This sturdy table football table has a tempered, non-reflective glass playing field and on the telescopic, anti-rust rods with steel roller bearings are players made from unbreakable plastic. 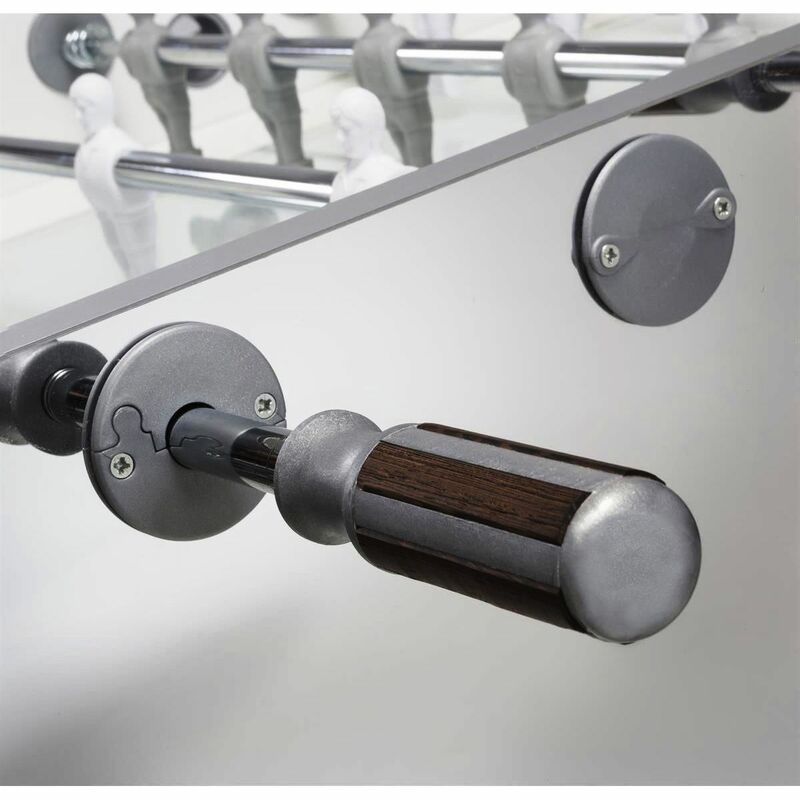 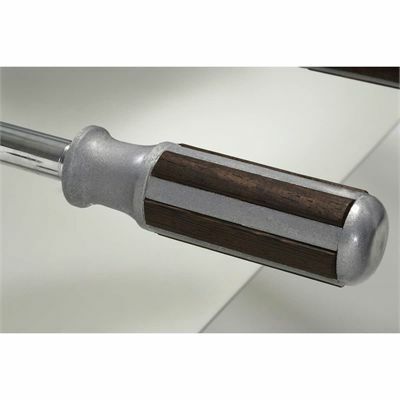 The handles boast wenge wooden inserts, there is a ball server on each side of the table and the goalkeeper rotates fully for the best performance. 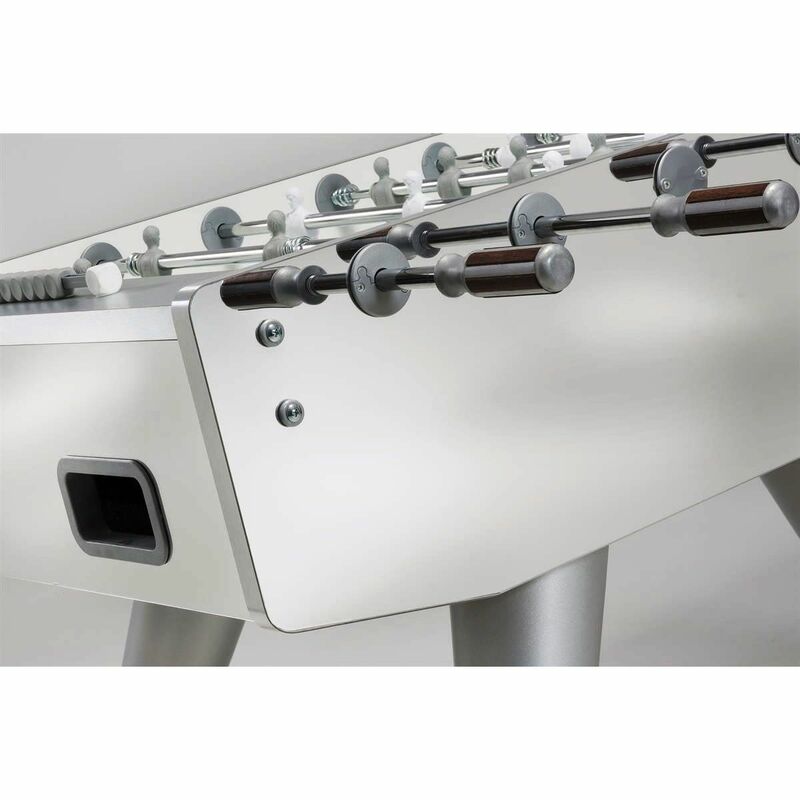 The elevated corners reduce dead ball areas for more enjoyable play and the leg levellers ensure a flat playing field. Keep score via the retro abacus-style scorers and don’t stop the fun thanks to the 10 standard orange balls supplied with the table. 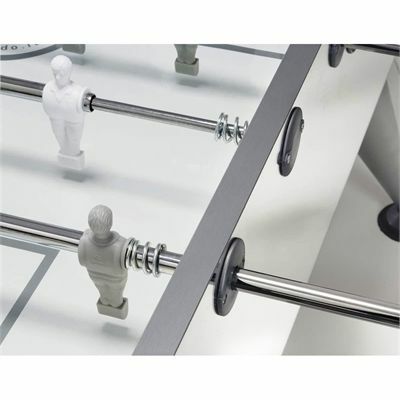 for submitting product review about Garlando Image Mirror Football Table.